Eric is the world’s thought leader on mature and industrial strength user experience (UX) operations—with methodology, tools, standards, training, certification, and cost-effective staffing. 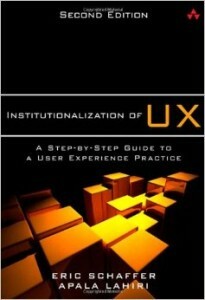 His book Institutionalization of UX: A Step-by-Step Guide to User Experience Practice (now in its second edition) provides a roadmap for companies to make usability a systematic, routine practice throughout their organizations. 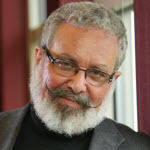 He co-developed The HFI Framework™, an ISO-certifiable process for user-centered design, built on principles from human-computer interaction, ergonomics, psychology, computer science, and marketing. His experience includes UX design, consulting, and training projects for over 100 Fortune 500 clients, and leading projects in omni-channel UX strategy, innovation, design, and persuasion engineering. Eric is actively engaged with HFI staff and clients around the world and is working to disseminate UX design methods globally. Eric has a longstanding interest in persuasion design. He pioneered the development of methods to optimize Persuasion, Emotion, and Trust (PET Design), and has applied these methods to increase conversion for organizations such as the California State Government, Fidelity, Macy’s, MetLife, REI, Taj Hotels, and Vodafone. He has led development of the HFI courses on persuasion engineering and has taught them worldwide. Eric is a Certified Professional Ergonomist (CPE). He earned his MS and PhD in Applied Psychology, specializing in Human Performance, from Stevens Institute of Technology. His BA is in Psychology from Clark University. Earlier affiliations include CL Mauro Associates, AT&T Long Lines, and Bell Labs. In 1981 Eric founded Human Performance Associates, the precursor to Human Factors International, Inc., which was incorporated in 1988.